The award includes a $10,000 grant to the agency and a $2,500 grant to client Mildred “MiMi” Mondesir. 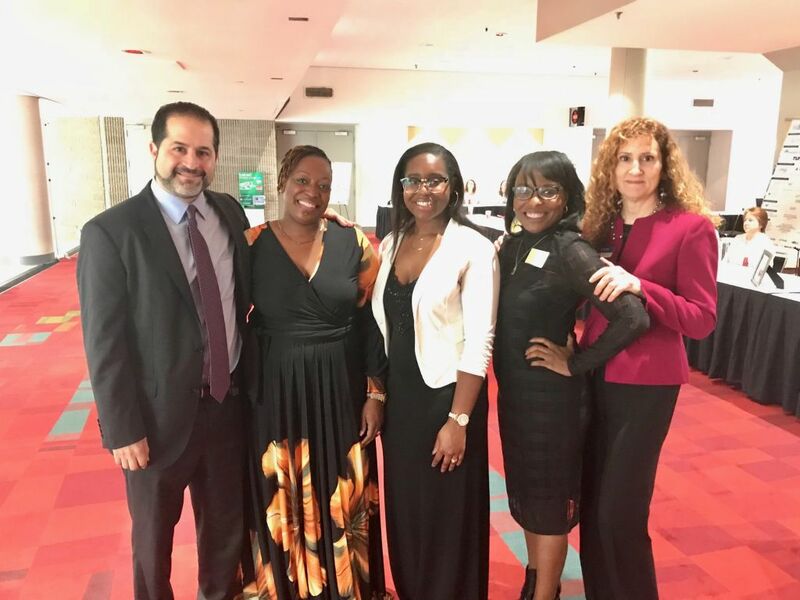 Jewish Family & Career Services received the Atlanta Women’s Foundation’s 2017 Sue Wieland Embracing Possibility Award on Nov. 1. The award included a grant of $10,000 to JF&CS and a $2,500 grant to a JF&CS client, Mildred “MiMi” Mondesir, to continue her journey of success. Mondesir, a single mother of two, lost her job and home after a rare illness, bullous pemphigoid, left her in debilitating pain despite 27 prescription medications. JF&CS Chief Executive Officer Rick Aranson, Chief Program Officer Faye Dresner (right) and Atlanta Women’s Foundation Executive Vice President of Mission DiShonda Hughes (second from right) join MiMi Mondesir (second from left) and her daughter at the Numbers Too Big to Ignore award ceremony. Mondesir met with Donna Coles, a career coach at JF&CS, who helped her start a new job search, find a part-time role and eventually gain full-time employment. While she was searching for work, JF&CS provided food from the Kosher Food Pantry and other emergency aid. Those services helped Mondesir put her life back together. She now works at the Georgia Department of Veteran Services and plans to move into a new home. JF&CS Career Services provides career coaching for job seekers and full-day boot camps with information about job searching, résumé writing, networking, using LinkedIn and negotiating a salary. Employers are sent screened, qualified candidates for appropriate roles, saving them time and money. 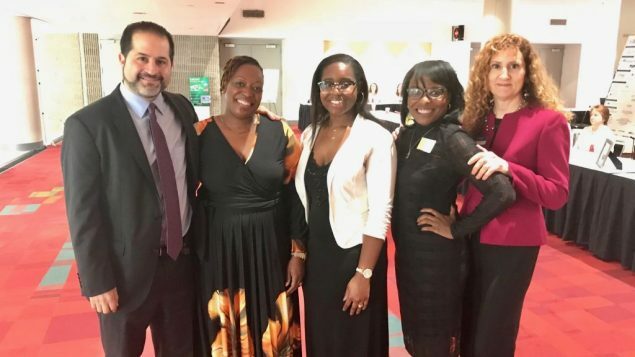 “JF&CS truly demonstrates an outstanding ability to make significant change in the lives of women and girls through its ongoing work, and Mildred’s success exemplifies their efforts to lift up women in our community,” Atlanta Women’s Foundation CEO Kari Love said. JF&CS plans to invest the $10,000 from the award in the Career Services program. The award was presented at the foundation’s Numbers Too Big to Ignore fundraising luncheon, where former Secretary of State Madeleine Albright gave the keynote address.